Gray paired with gold is one of my favorite color combos. Pieces do you know how much I love you? You may be my newest crush. 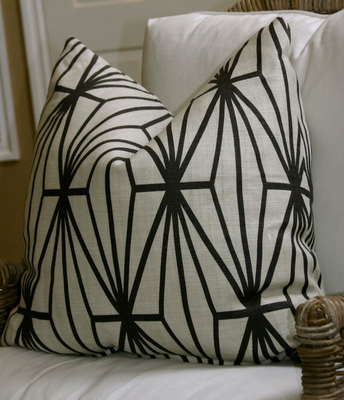 Neutral with a great graphic pattern. Hello beautiful. You would make any sofa stand out. This lovely I won from Head Over Heels. Love Nelya and her blog. Eddie Ross made these beauties from vintage scarves. I am thinking this is a must do. 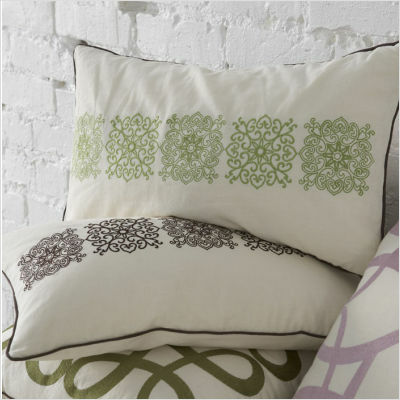 Yes, my taste in pillows may be expensive and no I can not really afford all these lovelies, but this one makes it to the list and is affordable! Considering my life change to simplify all these must stay as crushes. I will admire you all from afar, but do know I love you.